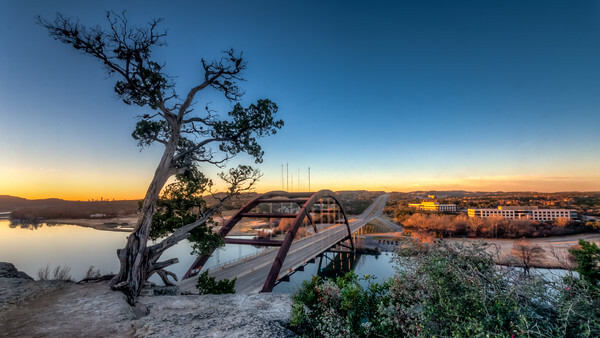 It was a chilly morning on Lake Austin today when I captured this shot. There were 2 other photographers up on the bluff with me. Sunday morning is the time to go. One of the few times you'll ever see Loop 360 without a traffic jam. First star I see tonight (actually probably a planet) shines dimly in the sky over the lake by the Cedar Park Rec Center. I was headed back to the van when I turned around and saw this shot. Always remember to look over your shoulder. Don't know what you'll see. 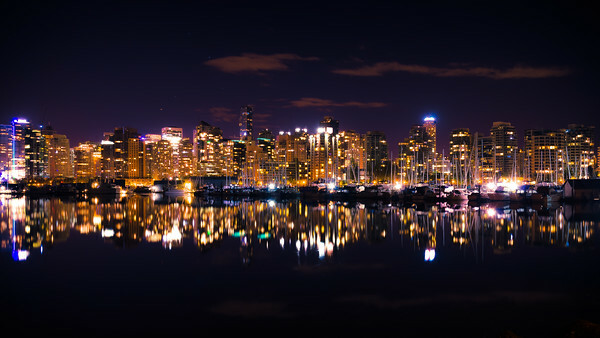 Nighttime skyline of Vancouver, British Columbia, Canada. For more on this shot, check out my blog at http://www.stevecoylephotography.com/Blog/Exploring-the-World. Along came a spider on the redeveloped Mueller airport land. 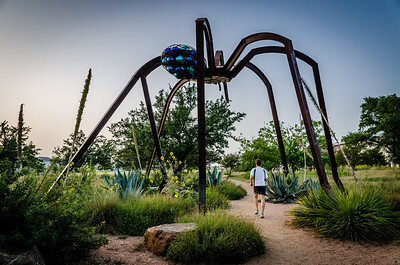 I went our on a photowalk of the Mueller area and we stumbled upon this sculpture around sunset. It reminds me of something out of War of the Worlds. This runner provided a nice perspective as to just how big the sculpture is. If you haven't checked out the redeveloped Mueller airport, I recommend it. Really amazing with how the old airport has been transformed over the last 15 years. 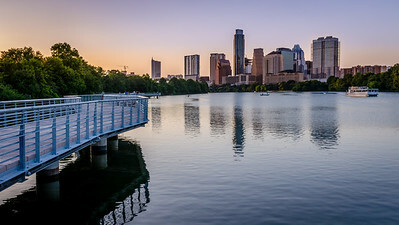 After dinner the other night we decided to walk out on the new boardwalk on Town Lake since we were in the area. We were really impressed with what little of it that we saw, that we decided we'd have to go back soon to check more of it out. 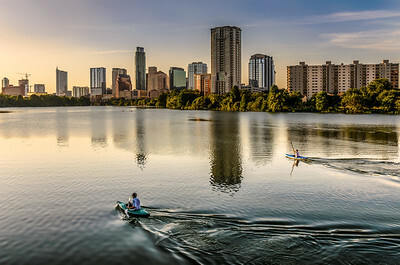 This is the view of downtown Austin at sunset from the boardwalk in front of Joe's Crab Shack. Go check it out if you haven't done so yet. 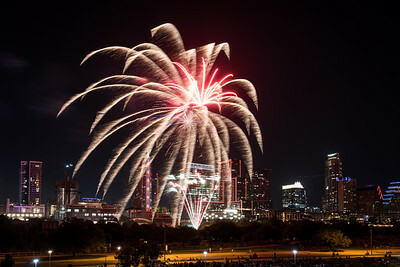 One of the shots I made right after the Heritage Oak in Cedar Park was lit last Friday. With two weeks to go til Christmas I thought this was an appropriate shot for the day. 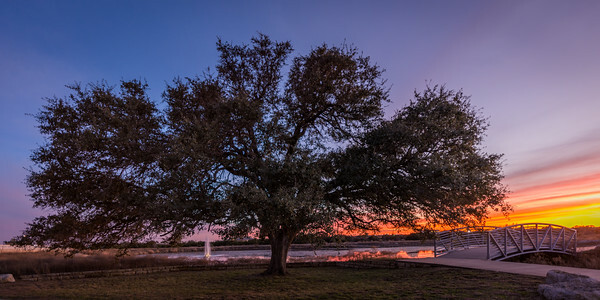 Having the crowd in the shot gives you a better idea of just how big this 400 year old oak tree is. 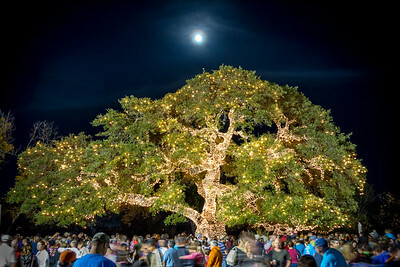 The city used over 60,000 lights on the tree to represent all of the citizens of Cedar Park, many of whom were present for the lighting. There were big flood lights to our left lighting up the scene, so the lights on the tree do not show up as well as they would have had it been dark, but with all the people present and the different activites going on, the lights were a must. What I liked best was the full moon rising over the tree just as it was lit up. 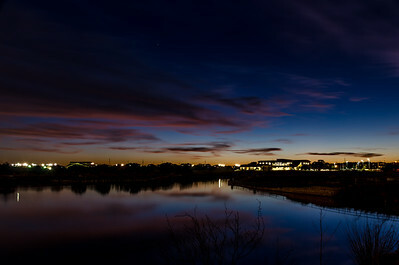 Went for a walk yesterday evening around the lake behind the Cedar Park Rec Center. I always enjoy capturing shots of this old oak tree along the walk. The colors in the western sky were great as the day was coming to a close. Just enough clouds to show it off nicely.